Writing to inquire if I can transfer my residence from Article 14 to 18. Any possibilities of doing so, as some people told me it is legally possible and can be done, but only through my previous company. I was a local hire and had been working with my previous company for more than 2 years. Decided to resign by myself due to personal reasons and was planning on returning to my home country. Served my notice period of 3 months and before a week from my last due date, the company Mandoub took me to Shoun and cancelled my Article 18 and put me on a temporary Article 14 also took away my Civil ID. Told me I had 1 month to settle any other matters and leave the country. Suddenly due to circumstances I had a change of mind and decided to stay back in Kuwait. Got hold of a sponsor who asked me to seek release from my previous company where I was working. Was advised to get release paper work signed and bring it to the new sponsor for transfer. When I went to the previous company, they denied saying you’re residency is cancelled and we cannot give you release for that matter and concluded saying that you must leave the country. Answer: Article 14 visa is issued to people to preclude them from being classified as illegal residents as they go through the processes of rectifying their residence or work visas. It is also issued as in your case, to people who are exiting Kuwait for good, to enable them settle any other matters before leaving the country. It is therefore not possible to transfer Visa 14 to 18 as your have been told. 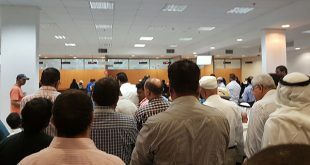 As the Mandoub told you, your work permit has been cancelled and you have no choice but to leave Kuwait on or before the last day of validity of your Visa 14. Husband on temporary residence will it effect traveling of dependents?